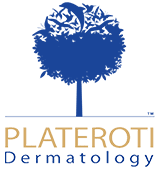 Finance Your Treatments with CareCredit® at Plateroti Dermatology! When it comes to receiving skin treatments, many men and women hesitate to seek treatment due to their financial situation. CareCredit® allows you to put yourself first without worrying about your wallet, offering patients an easy, manageable, stress-free solution to receiving treatments at our Templeton office. This healthcare credit card is available at over 200,000 locations across the country to help you finance your health and wellness needs easily and conveniently. Your treatments can be managed through monthly payments that fit your individual budget, allowing you to visit our office as often as you want without having to put your treatments off. Applying is easy and takes just a few minutes – click here to get started! Make a payment – Anytime, Anywhere. Pay My Provider is free to use. Plus, for purchases of $200 or more, you can take advantage of promotional financing options available* to help fit the cost of care within your budget. And your provider is notified when you pay. Contact Plateroti Dermatology today to find out more information about the CareCredit® healthcare credit card!